As a company that provides services to individuals and other businesses, you need to be able to track where your rental assets are and what services you are providing to each customer. You need to be able to invoice each and every contract on the pre-selected billing cycle and ensure all services are paid for. 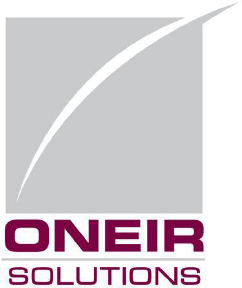 HOW CAN ONEIR SOLUTIONS HELP MY SERVICE BUSINESS? You need to have tight control over inventory, rental assets, sales and customers to maintain your efficiency and ensure your success in the business to business market. Even your “on-the-road” sales reps can have immediate access when making mobile sales. Set up contracts for your long-term rentals and other services you provide. Assign a billing and servicing cycle for each contract. You can even assign a termination date so that no extra billing occurs. You can efficiently invoice for the active contract, e-Mail an invoice and take payment. Extra charges can be added to the contracts and invoiced with the routine billing. If you have metered billing, that can be tracked and invoiced for as well. Take your service business to a whole new level with Enterprise Resource Planning (ERP) that efficiently manages key business functions through one shared information database…while increasing sales with Customer Relationship Management (CRM) that provides a central source of information about customers and prospects., and multiple methods to attract, repetitively invoice and service them. Repetitive Billing: Set up contracts for running routine invoicing (weekly, monthly, quarterly, semi-annually, annually, amongst others). Track Rental Assets: Assign rental assets to customers and know where they are so that they are billed for and returned. Extra Charges: Add extra charges to the regular billing cycle. Lease Backs: The Repeat Billing also allows for invoicing “take back” leases and “rent to own” purchases.. Back-office accounting: Accounts Receivable, Accounts Payable, General Ledger through to financial statement presentation. Bank Card Processing: Process debit/credit card payments with CPI Compliance. Take deposits, pay for invoices and pay outstanding receivables using one-time payments or “tokens” for payments on subsequent purchases, including paying for Service Billings through bank cards and EFT Bank Withdrawals. We have mobile phones, and have had them for a decade or two now. We have laptops that we can take on our trips, vacation or simply when we are out of the office. But these are bulky and not easy to manage while meeting with customers.